In any business, it’s only a matter of time before some sort of crisis occurs. The scale of the crisis can range from responding to a negative review to handling a full-blown PR nightmare. During a crisis, you’re working against the clock and under scrutiny, so it’s essential to have an effective crisis management response in place so you can not only do what’s best for your business, but most importantly, your customers. In this article, we’re looking at some of the key aspects behind a successful crisis management strategy, which will help to minimise damage, reduce negative consequences, and potentially turn a bad situation into a good one. Data breach – when the personal information of your customers are compromised. Sony’s significant data breach in 2011 – which saw the personal data of over 77 million Playstation Network users hacked and leaked – is a good example of this. Product failure – when a product is released with faults, and subsequently fails for a large proportion of customers. Examples include Samsung’s Galaxy Note 7 ‘exploding battery’ issue, and Microsoft’s ‘red ring of death’ issue with numerous Xbox 360 models. Internal mistake – when someone from within the company makes a public error which invites intense scrutiny on the company. This is often seen through social media, but can also occur through standard day-to-day operations. Take the United Airlines’ forceful removal of a passenger in 2017 – an event which was made worse by a poor approach to crisis management. The culture of your company is important to your response. This culture will, in one way or another, be directly influenced by how strong your leadership is. Employees will also look to leadership for crises which may have developed at higher levels within the company. Strong leadership usually means open and quick communication with employees and customers. This latter point cannot be overstated. Looking at other examples of crisis is a good way of seeing what to do and what not to do in this area. During Ryanair’s widespread pilot strikes, the defensive, accusatory responses from the airline itself ended up piling more scrutiny on the whole situation. The way they also handled refunds for cancelled flights – with reports of some passengers being actively ignored – only compounded these issues, and the whole crisis situation brought a mass amount of negative attention. To ensure everyone is on the same page, and understands the protocols for a range of crises, you should consider training your staff in crisis management. Many brands have bounced back from a crisis – some have even used it to their advantage. Having a clear strategy in place, and being educated on the nuances of a crisis – how they can be triggered, how the media, public and your customers will view your response, and how you move ahead in the future – will all help you bounce back. Enlisting a speaker who knows and has experienced company crises in the past is a great way of growing your understanding of a crisis and the consequences of inaction. People do not forget about a crisis like the ones we’ve discussed – especially when information and opinions are so easily accessible through social media. That’s why businesses need to be as prepared as possible to ensure they can minimise any negative consequences of a crisis – big or small. 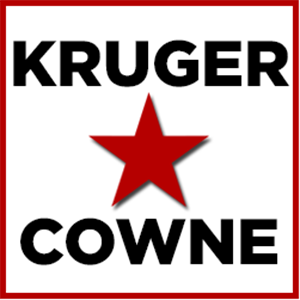 At Kruger Cowne, we have a wide range of experienced speakers who can pass on insight and advice regarding a company crisis – including talking to your entire company on how a crisis should be approached. To find out more or to discuss your requirements with our knowledgeable team, don’t hesitate to contact us today.